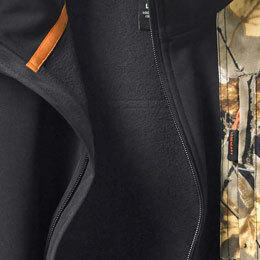 Men's Brush Buster Softshell Vest is rated 5.0 out of 5 by 1. Our micro-weave shell can handle everything from your dogs paws to the thorniest branches, yet still come out the other side looking like new. You stop at nothing in the field, including rain. 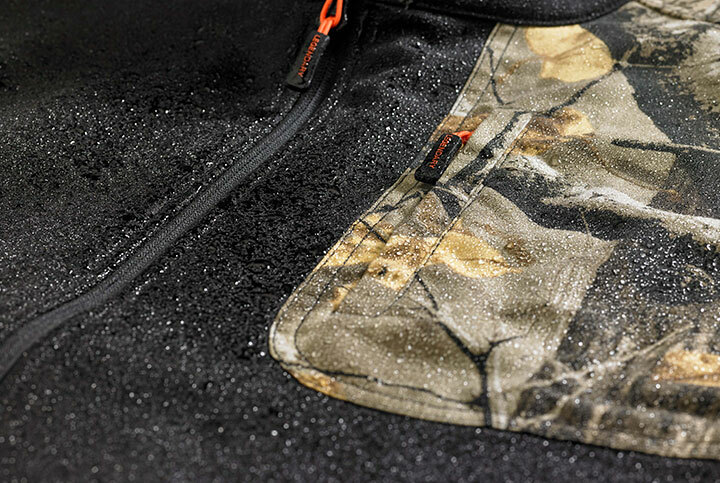 Now your vest can stand up to all the same elements that you do. 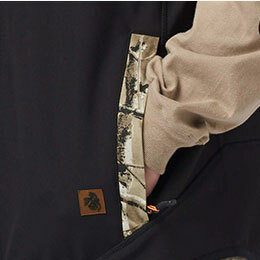 Get in a little post-season scouting in our Full Zip Brush Buster men’s vest. 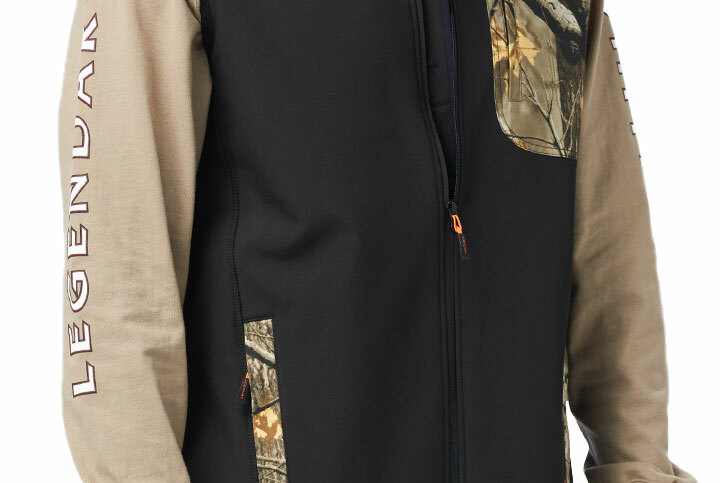 Sporting a polyester/spandex softshell fabric for a streamlined fit, this softshell vest features a water-resistant finish keeps the elements at bay. 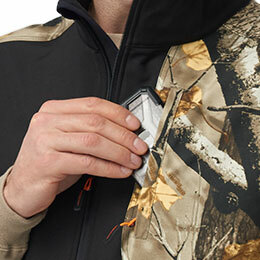 Zippered chest pocket (with media port) and 2 hand pockets offer plenty of device/storage/hand-warming options, and customized Big Game Camo® accents with Legendary® Signature Buck leather patch at the hem add the kind of style you've become used to. 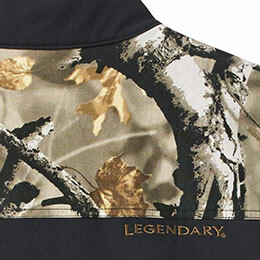 Rated 5 out of 5 by Big Patch from Nice vest I bought this vest for spring outdoors. Its not heavy and bulky.